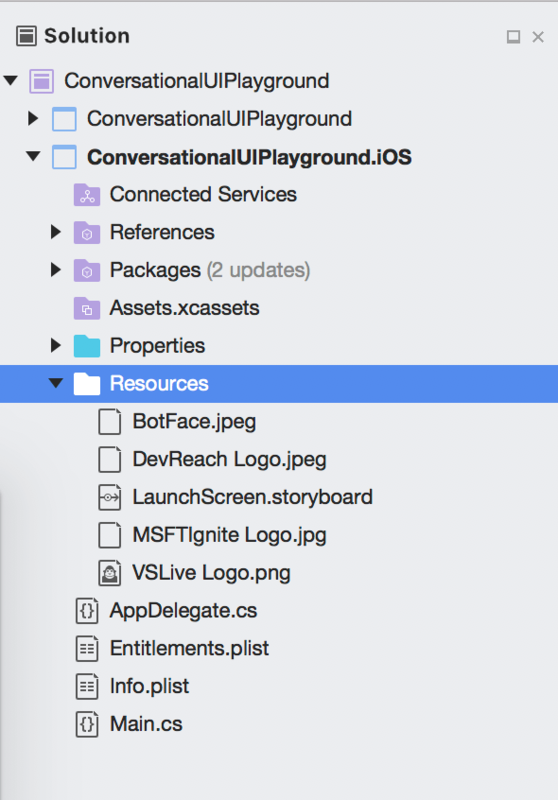 We take a look at the picker controls in Conversational UI as a part of Telerik UI for Xamarin, and explore rendering modes with various APIs. 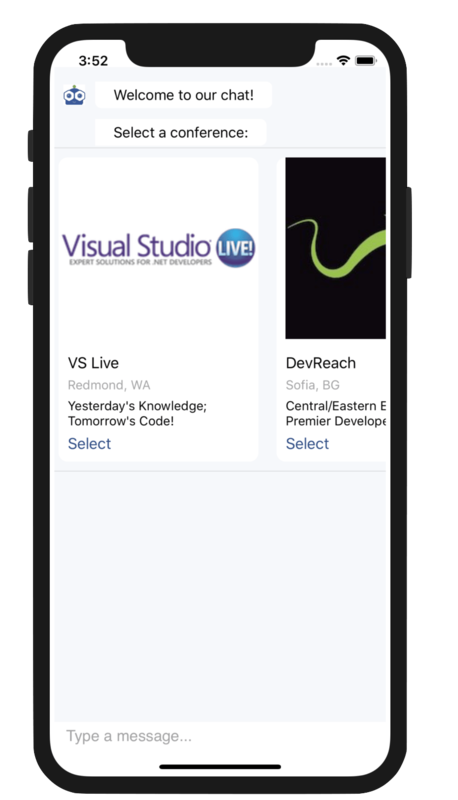 Take a look into the picker controls in Conversational UI as a part of Telerik UI for Xamarin, and explore rendering modes with various APIs. ChatBots are all the rage these days and for good reason. A well-trained chatbot with deep contextual knowledge can seamlessly automate lots of workflows with human-computer interactions. And enterprises are beginning to discover the cost benefits of chatbot automations — bot frameworks and AI are destined to rule the next generation of apps. For developers though, the key will be creating an engaging user experiences through chatbots. And this is where Conversational UI comes in — with polished modern UI for powering chatbot experiences on web, desktop, or mobile. One of the most common interactions in chat conversations is asking the user to make a selection from a list of things — you want this to be a rich experience, but seamless for the user. We recently looked at how this works with date and time pickers. 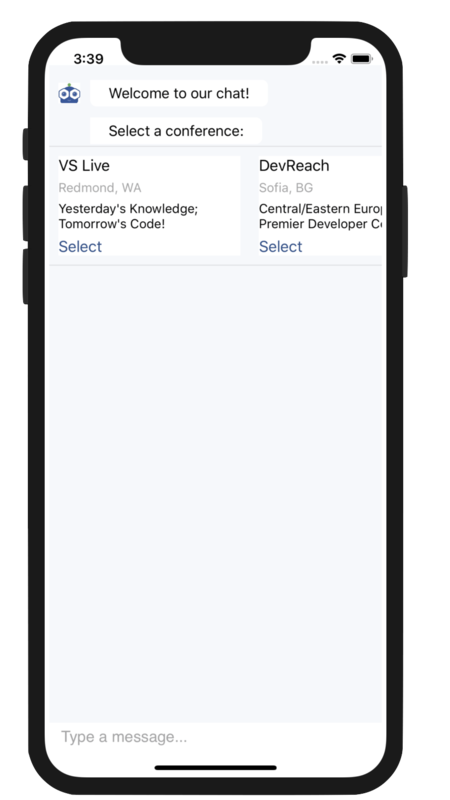 This article unpacks the ItemPicker and CardPicker controls in Conversational UI from the perspective of a Xamarin.Forms mobile app and explores ways of rendering such a picker UI to make for smooth user experiences. While we've already covered the basics of Conversational UI, text-based messages in a chatbot conversation are easy to handle — the real value in Conversational UI is in complex custom UI. This is achieved through the RadChatPicker control, which is responsible for presenting the user with a selection of choices as a part of the chat conversation. If you had to choose pizza toppings, would you type them down in text, or simply check off a list? You get the idea. In a chat conversation, it is almost always quicker to elicit user responses when presented with a collection of items to choose from. DatePicker: for displaying a Calendar to choose a date. TimePicker: for displaying a clock view to choose a time. ItemPicker: for presenting a list of suggestions the end user could choose from. CardPicker: for presenting a list of cards with structured layout. The RadChatPicker showcases the value we can offer developers with Conversational UI — the polished sophistication through custom complex chat UI. We covered Date ajnd Time pickers earlier, the bigger need is often to offer selections from a custom list. Telerik and Kendo UI can now offer Item and Card picker controls for various platforms, to be used as a part of chatbot conversational UI. ItemsSource: defines the data source to be bound to as options. SelectionMode: controls single or multiple selections from ItemSource. SelectedItems: defines the currently selected items. SelectedItem: defines the last selected item. In the code above, we can set up the bot author and start a chat conversation. And when it comes to demonstrating selecting options from a list, there is simply no better example than picking your favorite pizza toppings — so let's do that. Now that we have a function to handle the pizza topping selection dialogue, we can enhance the ItemPickerContext with some desired properties and add the PickerItem into the chat conversation's Item collection. Notice how we're setting the ItemSource property — this could be a generic collection of any type of object to be used for data binding. Let's fire up our app. 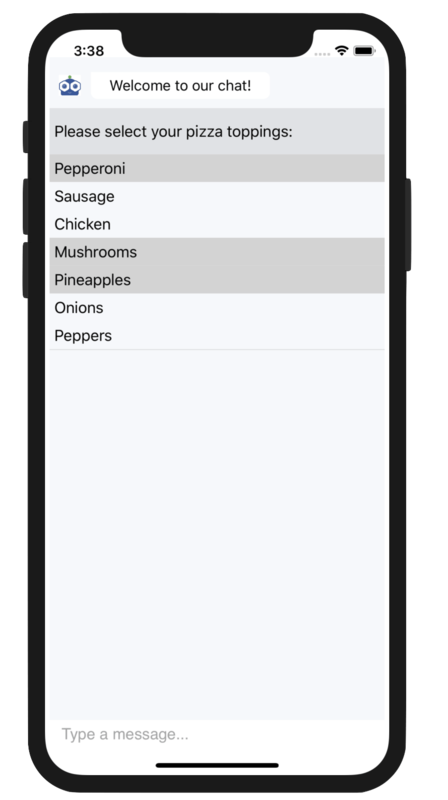 Sure enough, we see a nice polished ItemPicker control allowing for the selection of pizza toppings from a list. In the code above, we're also listening in on the PropertyChanged event of the ItemPickerContext — in particular, when the SelectedItem property value changes. This is triggered once the user makes selections — our event handler grabs the SelectedItem property value and aggregates all selected toppings. SelectionMode set on the ItemPickerContext can allow the user to choose one or more items from the list; it would be pretty brutal if it was single topping pizza only, right? When your chatbot presents a list of options for the user to choose from, you would ideally like it to be a seamless user experience. It may be rich data, but it should be easy to glance at and choose from. This is where the Telerik CardPickers in Conversational UI can light up your chatbot scenarios. 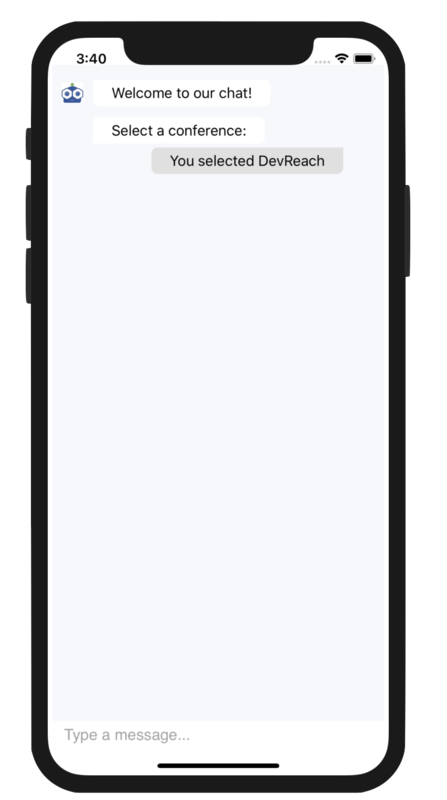 ImageCardContext: derives from BasicCardContext with an additional Image property. Actions: implements IEnumerable<CardActionContext> that holds the card actions through commands. ImageCardContext enhances the functionality of the BasicCardContext by providing an additional Image property, so you can add an image to the card definition. This simple addition allows you to present a rich user experience. As it turns out, we humans like our visuals. Let's run our app. Sure enough, image cards make it much more enticing to pick our developer conference of choice. All other card behavior remains unchanged. It's just a better user experience. The ItemPicker and CardPicker controls in Conversational UI are here to make this easier. Developers get various rendering options, from simple lists to full-blown custom cards. Flexible API,s and MVVM support make it easy for developers to handle user selections, all the while providing a fluid user experience. Time to go light up your chatbot conversations and build amazing experiences.